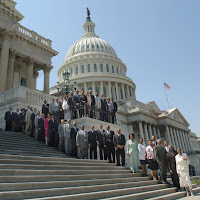 Where Is the Congressional Black Caucus on Energy Ownership? The federal government is handing over hundreds of billions of dollars to prop up or take over private companies of all kinds. Our interest is in energy companies and we wonder why the Congressional Black Caucus (CBC) is not proposing legislation or amending energy legislation to direct some of those billions to black ownership of energy companies. Besides Kase Lawall, blacks do not own any part of the energy infrastructure in the United States. Not one oil company, nor coal company, nor pipeline nor wind company. You get the idea. 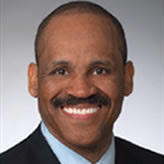 The long history of developing energy companies and the high capital costs for equity participation, combined with the exclusion of blacks in the marketplace up until about 40 years ago, has left African Americans absent from the energy sector. Now some will holler because some get angry whenever there are proposals to 'assist' blacks. Yet there is not hollering over bailing out and otherwise providing welfare for corporate America. AAEA could start a solar or wind or liquefied natural gas company with a billion or two. We're talking green company ownership here, not just green jobs. We are even talking about ownership in traditional energy sectors. We would operate a coal mine in an environmentally friendly manner. And work with President Obama on clean coal solutions. So come on CBC. President Obama will sign the bill if you originate or amend energy legislation that helps blacks to get in the energy business. We want to commend your office for working to implement the Green the Capitol Initiative by increasing energy efficiency and reducing greenhouse gas emissions. However, there is a shadow that hangs over the success of your and our efforts to improve the environmental performance of the Capitol and the entire Legislative Branch. The Capitol Power Plant (CPP) continues to be the number one source of air pollution and carbon emissions in the District of Columbia and the focal point for criticism from local community and national environmental and public health groups. Since 1910, as you know, the CPP has continuously provided the Capitol, House and Senate office buildings, and other facilities with steam and chilled water for heating and cooling purposes. The plant remains an important component of the facilities master plan and the future of the Capitol complex, and we know your office has taken steps to make the plant cleaner and more efficient. While your progress has been noteworthy, more must be done to dramatically reduce plant emissions and the CPP’s impact. Since there are not projected to be any economical or feasible technologies to reduce coal-burning emissions soon, there are several steps you should take in the short term to reduce the amount of coal burned at the plant while preparing for a conversion to cleaner burning natural gas. We encourage you to take advantage of current excess capacity to burn cleaner fuels and reduce pollution. According to the General Accounting Office (GAO) and an independent analysis from Lawrence Berkeley National Laboratory, the boilers at the CPP are now running with more capacity than has been historically demanded or anticipated. Even with the new Capitol Visitor Center in operation, these analyses show there is sufficient capacity to further increase the burning of natural gas and still meet energy demands at peak hours. We are also interested in identifying and supporting funding to retrofit CPP if necessary so that it can operate on 100 percent natural gas. Unfortunately, our staff has received conflicting information and cost estimates on what would actually be required to operate the CPP year-round with exclusively natural gas. If a retrofit of two remaining boilers is indeed required, then we encourage you to develop realistic budget numbers to accomplish the retrofit expeditiously including any costs for the purchase of additional quantities of natural gas. In your budget analysis, it is important to take into account that time is of the essence for converting the fuel of the CPP. Therefore it is our desire that your approach focus on retrofitting at least one of the coal boilers as early as this summer, and the remaining boiler by the end of the year. While the costs associated with purchasing additional natural gas will certainly be higher, the investment will far outweigh its cost. The switch to natural gas will allow the CPP to dramatically reduce carbon and criteria pollutant emissions, eliminating more than 95 percent of sulfur oxides and at least 50 percent of carbon monoxide. The conversion will also reduce the cost of storing and transporting coal as well as the costs associated with cleaning up the fly ash and waste. Eliminating coal from the fuel mixture should also assist the City of Washington, D.C., in meeting and complying with national air quality standards, and demonstrate that Congress can be a good and conscientious neighbor by mitigating health concerns for residents and workers around Capitol Hill. Taking this major step toward cleaning up the Capitol Power Plant’s emissions would be an important demonstration of Congress’ willingness to deal with the enormous challenges of global warming, energy independence and our inefficient use of finite fossil fuels. We strongly encourage you to move forward aggressively with us on a comprehensive set of policies for the entire Capitol complex and the entire Legislative Branch to quickly reduce emissions and petroleum consumption through energy efficiency, renewable energy, and clean alternative fuels. AAEA supports a cap-and-trade program for carbon dioxide (CO2) and we solve the environmental justice 'hot spots' issue through our Environmental Justice Allowance Reserve reocmmendation. AAEA has also formulated an Elderly Allowance Reserve. AAEA believes the CO2 cap-and-trade program should be modeled on the successful Clean Air Act Acid Rain Program. To supply the auctions with allowances, EPA set aside an Auction Allowance Reserve of approximately 2.8 percent of the total annual allowances allocated to all units. During Phase I, when the allocated allowances totaled 5.7 million allowances annually, 150,000 allowances were withheld every year for auctions. During Phase II, when allowance allocations total 8.95 million allowances annually, 250,000 allowances were withheld annually for auctions. AAEA believes President Obama should pattern his cap-and-trade program after the Acid Rain Program. President Obama currently wants to auction the initial allocation of allowances and use the proceeds to fund renewable energy projects and provide additional payments to low-income families to help them pay for any increase in utility bills. Proceeds from the auction would come in to the federal government and then would be redistributed as described above. We beleive this recommendation is too complex and will also be politically bludgeoned at a 'carbon tax.' All stakeholders agree the Acid Rain Program was a complete success. The CO2 cap-and-trade program could be equally successful if it is modeled after the Acid Rain Program. John F. Biagas, CEO, Bay Electric Co. The National Black Chamber of Commerce is dedicated to economically empowering and sustaining African American communities through entrepreneurship and capitalistic activity within the United States and via interaction with the Black Diaspora. The NBCC reaches 100,000 Black owned businesses. AAEA President Norris McDonald is pictured with NBCC President Harry Alford at the luncheon. The Conference Of Minority Transportation Officials (COMTO) will sponsor a Transportation Summit on Thursday, March 5th. The theme of the summit, which will be hosted by Patton Boggs, LLC, is "A Ready To Go and Sustainable Workforce." The all-day summit will take place from 8:30am – 5:30pm at Patton Boggs’ offices located at 2550 M Street NW, Washington, DC 20037. Ms. Donna Brazile will deliver the morning keynote. Following the summit, there will be a networking reception, at which Secretary Raymond LaHood has been invited to speak. This summit will convene over 100 transportation professionals to discuss a diverse and sustainable transportation industry workforce. COMTO not only seeks to contribute to the nation’s economic recovery discussion, but also to the planning and execution needed to devise strategies that will sustain a 21st century workforce. Due to limited space, please rsvp early to Ramonica D.M. Moore to confirm your attendance or call (202)530-0551, ext. 309. America uses 20 million barrels of oil every day. About half of this amount is imported and although reducing our dependence on foreign oil is a good thing, kicking President Obama out of Air Force One and Marine One will do nothing to reduce that dependence. Some cable television talking heads and other pundits are now yapping about President Obama making a symbolic budgetary gesture by eliminating his source of air travel. Poppycock. Not only do we need President Obama to keep state-of-the-art 'Oval Office In The Sky' air travel, we need him to use it more to solve our nation's and our world's problems. Oh, and we like the new Cadillac One presidential limousine too. The currently used Sikorsky VH-3 Sea Kings, above left, is about to be replaced with a new fleet of 23 VH-71 Lockheed Martin helicopters, above right, starting this summer. The new choppers will have 200 square feet of cabin space, nearly double the Sea King’s 116. The $110-million helicopter is derived from a European-built AgustaWestland EH101 and is set to go into service between 2009 and 2014. Fuselage: Made of high-strength reinforced aluminum alloy, it can withstand crash impacts in excess of 15 Gs. Engine: The VH-71 can shift from three 3,000-horsepower General Electric CT7-8E turboshaft engines to two, whereas the twin-engine Sea King must land if one engine fails. Rotor: Five flared rotor blades increase the craft’s efficiency by up to 30 percent over conventional designs when flying at 150-knot cruising speed. Defense System: The VH-71s, like the EH101s they are modeled on, will probably feature radar-warning receivers, laser detectors and flare dispensers to deflect anti-aircraft missiles. Cabin: Measuring eight feet wide and 25 feet long, the cabin will include a lavatory and a galley kitchen. The fold-down stair spares the president from ducking during photogenic entrances and exits. Communications: More room for communications hardware means the president will have secure and continuous access to all White House and Pentagon computer systems and data streams. 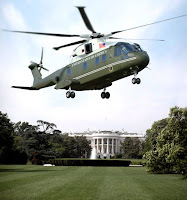 The fleet of helicopters currently used by the president includes 30-year old aircraft that were designed in the sixties, fielded in the seventies and no longer has the growth capability to incorporate the equipment necessary to provide suitable presidential support in the post 9-11 environment. More than 200 suppliers in 41 states support Team US101, led by Lockheed Martin with teammates Agusta Westland and Bell Helicopter Textron. Suppliers include some of America's leading aerospace companies, such as General Electric, ITT, Northrop Grumman, Kaman Aerospace and Palomar Products. 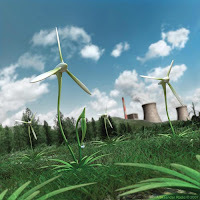 In the effort to reduce the world’s dependence on fossil fuels, there has been a major push towards alternatives. Ethanol has been at the forefront of this movement because it reduces greenhouse gas emissions from automobiles and its production has a positive net energy balance. The homegrown fuel also reduces the need for imported oil from sometimes unfriendly and unreliable supplier nations. The Energy Policy Act of 2005 required the blending of 7.5 billion gallons per year of renewable fuels with gasoline by 2012. According to the Renewable Fuels Association, that threshold should be met sometime this summer, on a capacity basis. Ethanol plants are expanding and being developed at a significant rate in North America and throughout the world. There are currently over 70 ethanol production plants under construction in the United States alone. Washington is talking about a goal of 25 percent of our transportation fuel supply from renewable biofuels by 2025. 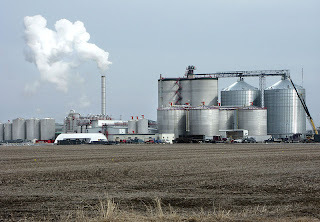 This ethanol development has expanded to nearly all regions of the country; suffice it to say there is a boom going on the ethanol industry and it is expected to continue for some time. Ethanol is produced by fermenting and distilling starch, creating a 200-proof alcohol suitable for combustion in a vehicle. When processing corn, only 70 percent of the kernel is made into ethanol; the remaining fats, proteins, fiber, oils and minerals are referred to as distiller’s grain (DG). If a production plant is not very proximate to dairy operations or other significant livestock feeding needs, it will have to dry the DG in order to prevent spoilage during transport to more distant regional markets. Operating restrictions, penalties and fines, as well as community pressures, are forcing many plants to strive for the lowest possible emission levels from their dryers, enabling future capacity expansions. Since air permits are granted on a facility-wide basis, when developing, designing and permitting ethanol production facilities, selecting the most appropriate process equipment as well as air pollution control equipment is critical. State Senator David C. Harrington (D-PG Co), left, is calling for environmental justice reviews in state development and environmental permits. Maryland is approximately 20% African American and the state includes areas with minority communities that already have a disproportionate number of environmentally hazardous facilities compared to other communities. It is being reported that a recent hearing before the Senate Education, Health and Environmental Affairs Committee did not find much support for this issue. In fact, the chairwoman of the committee, Senator Joan Carter Conway (D-Baltimore), right, noted that the committee received numerous letters opposing the environmental justice bills. The letters came from interests ranging from real estate agents to home builders, energy companies and even the Farm Bureau. T. Boone Pickens, right, is sponsoring a SUMMIT ON GREEN ENERGY on Monday, February 23 at 10:15 a.m.ET. [see Pickens Plan website]. The “National Clean Energy Project: Building the New Economy” is being hosted by the Center for American Progress Action Fund and will focus on developing a plan and key guiding principles to lead the transformation of U.S. energy policy and to reduce the nation’s dependence on foreign oil. President Bill Clinton, Vice President Al Gore, Secretary of Energy Steven Chu, Secretary of Interior Ken Salazar, and others will join T. Boone Pickens and other esteemed participants at this event. Senate Majority Leader Harry Reid is the event’s Honorary Chair. The forum will focus on modernizing and expanding the electricity grid, integrating energy efficiency and distributed generation into operation and regulation, rapidly increasing transmission capacity for renewable energy and reducing our nation’s dependence on foreign oil by examining short- and long-term solutions to replace foreign oil with domestic resources to fuel vehicles and trucks, including natural gas. The Greater Washington Green Jobs Corps, a project of Green DMV, will provide quality green job training to prepare young adults and current blue-collar workers with barriers to employment in the Greater Washington area for green-collar careers. The project was started to both advance the organization's economic, environmental and climate protection initiatives and support the national agenda to create 3.5 million new jobs. This year, Green DMV's Greater Washington Green Jobs Corps will train 300 individuals from disadvantaged backgrounds to help meet the demand for skilled workers to provide services in the green economy. Participants of the program are trained to weatherize homes, businesses and federal buildings, install solar panels and perform energy audits. These sustainable services will save millions of dollars in energy costs for the Washington Metropolitan area. The first training, which will help engage and connect young adults to new green job opportunities, begins May 1, 2009 and is available to all Greater Washington area residents. Upon completion of training, participants are immediately job ready for the millions of jobs being created as part of the Obama Administration's economic recovery package sustainable infrastructure projects. Green DMV is a non-profit organization committed to engaging low income community stakeholders to invest in climate solutions that create economic opportunities and build healthier and more sustainable lives. GreenDMV founder Philip E. O'Neal is picture above left. AAEA presented testimony at the Nuclear Regulatory Commission (NRC) hearing on the Draft Supplemental Environmental Impact Statement (DSEIS) at Colonial Terrace in Cortlandt Manor, New York on February 12, 2009. The hearing was on the Generic Environmental Impact Statement for License Renewal of Nuclear Plants, Supplement 38, Regarding Indian Point Nuclear Generating Unit Nos. 2 and 3, Draft Report for Comment Main Report. AAEA President Norris McDonald, AAEA Director Dan Durett, and AAEA Vice President Derry Bigby presented testimony on behalf of our local chapter. AAEA staff also toured Indian Point nuclear power plant the next day. Victor MacFarlane To Move DC United To PG County? DC United soccer team owner Victor MacFarlane, left, wants to build a 24,000-seat stadium in Prince George's County, the richest majority black population county in the United States. D.C. United has played at 48-year-old RFK Stadium since the franchise was founded in the mid-1990s. MacFarlane would pay 25 percent of the $200 million cost for the stadium and the remainder would be financed by tax revenue generated at the facility. Legislation has been introduced in the Maryland General Assembly to earmark the taxes for construction. AAEA recommends that Administrator Lisa P. Jackson should offer a settlement to Dr. Marsha Coleman-Adebayo in order to end this decade-long saga. Dr. Adebayo won a $600,000 discrimination lawsuit against EPA in 2001 and lobbied Congress to pass the NO FEAR ACT, which was signed into law in 2002. We sincerely hope that Administrator Jackson will 'make Marsha whole' as one of her first official acts in order to serve notice to the entire federal workforce that justice is not only possible, but readiliy available to rank and file workers. Please right this situation Adminstrator Jackson. "FREE THE RACCOONS PRESIDENT OBAMA"
We just heard a news report on WJLA-TV (ABC-7) in Washington, D.C. that raccoons have been discovered on the White House grounds. The report said the Park Service would be setting traps to cage and remove them. President Obama, we are respectfully requesting that you allow the urban fauna to remain on the White House grounds. 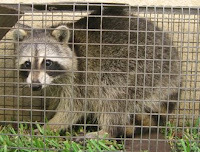 Raccoons are wily and know when and how to come and go without scaring or threatening humans. We believe First Lady Michelle Obama, Malia and Sasha will be perfectly safe with the raccoons around. We are sure the raccoons simply enjoy the well-manicured South Lawn. They are probably just foraging for food if they can find any late at night. And imagine the thrill if you look out the window and see a raccoon scurrying across the South Lawn (or front lawn) late one night. You will know that Washington, D.C. wildlife is healthy and thriving in our nation's capital. President Barack Obama is renaming former President George Bush’s religion office from the White House Office on Faith-Based and Community Initiatives to the Council for Faith-Based and Neighborhood Partnerships. President Obama is signing an executive order and announcing the new 25 member council today and 26 year old Joshua DuBois, left, to head the initiative. The White House office will be supplemented by offices in 11 federal agencies. AAEA Southeast Region Director Promotes "Chemurgy"
The Chemurgy movement began around the 1920’s, and lasted until around 1977 with the Chemurgy Farm Council. Two of the famous supporters of this movement were George Washington Carver and Henry Ford. Carver has been called the “First and Greatest Chemurgist,” his chemurgical work with the peanut, sweet potatoes, cowpeas, pecans and other farm products is a testimony to his greatness. Henry Ford was a friend of Carver and a comrade in the Chemurgy movement. Both men believed in the idea of moving away from petrochemicals to biochemicals, especially for use as alternative fuel for cars and other vehicles. Ford even produced a vegetable car made from straw, flax, cotton linters, ramie, slash pine, soy meal and liquid bioresin into a vegetable plastic. The car was 2000 pounds compared with a 3,000 pound steel car. The car was not only made from plants, but also ran on fuel made from plants. The Office of Small Disadvantaged Business Utilization (OSDBU) has become for the most part a “joke” in terms of effectiveness and authority (with the exception of HUD). The Office of Management and Budget has become no friend of minority business. Every time there is an “emergency” such as 9/11, Iraq War, Katrina, Bailout, etc. the first thing OMB does is declare a waiver from the Federal Acquisition Regulations (FAR) and eliminates affirmative action. When the National Black Chamber of Commerce, Inc. was formed the SBA had an annual budget of about $900 million. Today, that budget is about $470 million. The NBCC concluded that procurement, capital access and inclusion into major programs should be high priority. What is taking so long for the Senate Finance Committee to schedule a hearing on Ron Kirk's nomination and confirmation as U.S. Trade Representative? Maybe someone should tell the committee members that there is a financial crisis going on and the trade representative position is crucial to improving the American economy. This is simply upsetting to us during this time of crisis. The Senate should give President Obama his team so they can get to work on the people's business. 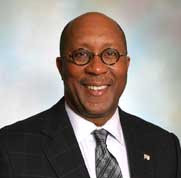 President Barack Obama designated former Dallas, Texas Mayor Ron Kirk to be America’s next lead trade negotiator. As U.S. trade representative, he also would uphold U.S. laws barring unfair trade practices by overseas governments and companies. Doesn't the Senate Finance Committee understand the importance of continuity regarding international trade issues facing us today? Mr. Kirk will be involved in the climate change treaty negotiotians and his confirmation is very important to the success of the stimulus package. President Obama talked to Chinese President Hu Jintao last week, and trade issues were at the top of their discussion agenda. The Senate Finance Committee should confirm Mr. Kirk right now. It is simply unconscionable that the Senate Health, Education, Labor and Pensions Committee is delaying confirmation of Congresswoman Hilda Solis as Secretary of Labor. At a time when the nation needs her expertise most, some committee members are fretting over her stance on union participation. This is an outrage. Ms. Solis is one of the most respected members of Congress and her public service record does not deserve this slight. Approve her now. President Obama's Secretary of Labor-designate should be approved right away so that she can begin taking care of the people's business. Hilda Solis is a leader on environmental justice issues and in promoting green jobs. 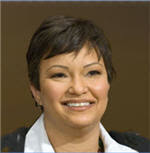 She is highly regarded by the environmental community and the environmental justice community. It boggles the mind to think that while our country is considering a $1 trillion stimulus package to jump start the economy by creating more jobs, this committee is blocking the one person who should be on the job right now assuring the success of the federal response to our current economic crisis. Again, pass Congresswoman Solis' nomination now or face an extremely negative response from the voters and other stakeholders.